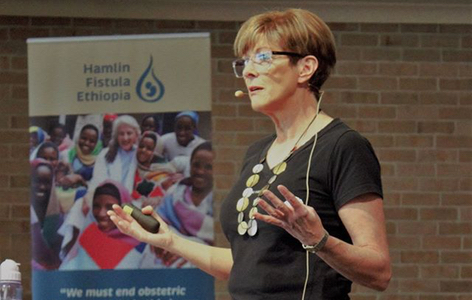 Last November Patricia travelled to Ethiopia with Hamlin Fistula Ethiopia as part of a major fundraising campaign. She saw firsthand what has been achieved through the dedication and leadership of Dr Catherine Hamlin and her husband Dr Reg Hamlin. The Hamlin’s life and work is one of the truly inspiring stories of the modern age. In 1959 as Australian obstetricians and gynaecologists, Drs Catherine and Reg Hamlin travelled to Ethiopia at the behest of the then Royal Family to set up a college for midwifery training. In the early years of their stay, they noticed the wretched plight of obstetric fistula sufferers, a terrible childbirth injury almost unheard of in the first world, who at that time were treated as incurable cases. No -one anywhere in the world was doing anything to treat this catastrophic, life altering condition. These seemingly incurable patients so touched their hearts that they resolved to do something to help. Together they perfected the modern technique for obstetric fistula surgery. They negotiated with governments, survived through very difficult times politically in Ethiopia, raised funds to set up a number of hospitals, clinics and a midwifery school and have trained people to run the enterprise. Catherine herself has been recognised for her amazing work. She is a Companion of the Order of Australia, a national living treasure of Australia and a two time Nobel Peace Prize Nominee. Reg Hamlin passed away nearly 20 years ago, and Catherine now in her 90s, continues to inspire a team of surgeons and her loyal Ethiopian staff, some of whom have been with her since 1959. To date their team has treated more than 40,000 women and radically changed their lives for the better. They were passionate about the cause. Catherine, now 92, says she wants to see obstetric fistula eradicated, if not in her lifetime then in in ours. They dreamed big and with this clear vision they could enthuse others and set plans in place to achieve them. They developed the skills necessary to achieve their goal. It took them a few years to research, study, develop and refine the skills required. They became the leading experts in this field and then set about training as many others as they could. They recognise they made mistakes but learned form them and never gave up. They were able to recognise talent in people and took the time to develop and nurture people. One of their major successes was training a cured patient to become one of the leading fistula surgeons in the world, a wonderful woman called Mamitu. They have ensured their work continues by developing a well trained staff and recruiting effectively. Humility and kindness is a large part of Dr Catherine’s charm. She downplays the praise she receives from many quarters and deflects it onto her team. Those who work with her directly adore her and quite literally will do anything for her. They never gave up, persistence being a key part of their success. When there was political turmoil in Ethiopia they stayed and found a diplomatic way through it. Key skills for any good leader. One more endearing characteristic is that they didn’t seek personal gain. As specialised doctors they could have had the choice of roles in any prestigious hospital. Instead they chose to work with some of the most marginalised women in the world. This has been a role model for the doctors they have trained and employed and many said it was Dr Catherine’s example that inspired them. One of their surgeons commented that he had high paying work offers from all over the world but he could not take them as it would be letting Dr Hamlin down. 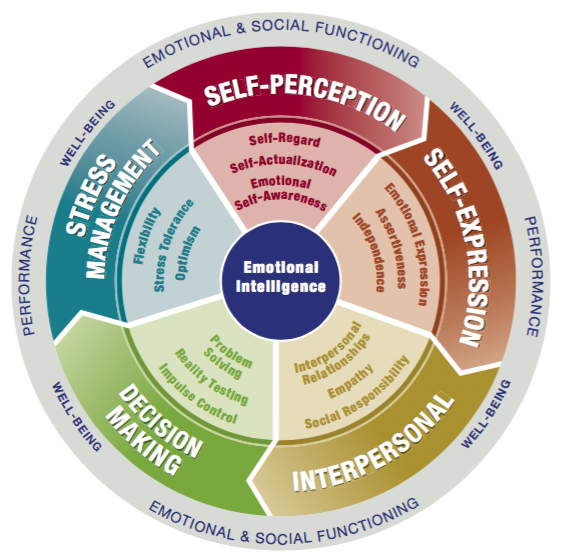 The 1-5-15 factor structure: The EQ-i 2.0 features one overarching EI score (Total EI), broken down into five composite scores which measure five distinct aspects of emotional and social functioning. These in turn, are broken down into a total of 15 sub scales. Why is it that some people thrive in the face of challenge and adversity at work, while others panic and withdraw into themselves? And why is it some people appear to get ahead while others tread water, or slowly drown in the turbulent waters of life? Resilience is not a characteristic gifted to some individuals and not others. The key is that resilience is not a passive quality, but an active process. In organisations it is fair to say that the effectiveness of large scale change is in some part due to the resilience of individuals to cope with the stress entailed in implementing or being on the receiving end of the change. While people can experience some stress as energising and exciting, too much stress is disabling and the circumstances that brought this about seen as adversity. Everyone has different resilience abilities and resources and luckily they can be built and enhanced. Resilience is the ability to adapt well to stress, adversity, trauma or tragedy. It means that, overall, you remain stable and maintain healthy levels of psychological and physical functioning in the face of disruption or chaos. If you have resilience, you may experience temporary disruptions in your life when faced with challenges, for instance, you may have a few weeks when you don’t sleep as well as you typically do. But you’re able to continue on with daily tasks, remain generally optimistic about life and rebound quickly. Resilience is very important to assist people cope with change and deal with stressful situations. Resilience can help people deal with disappointments and setbacks without becoming depressed or negative, endure loss, chronic stress, traumatic events and other challenges. It will enable individuals to develop a reservoir of internal resources that can be drawn on, and it may protect against developing some mental illnesses. 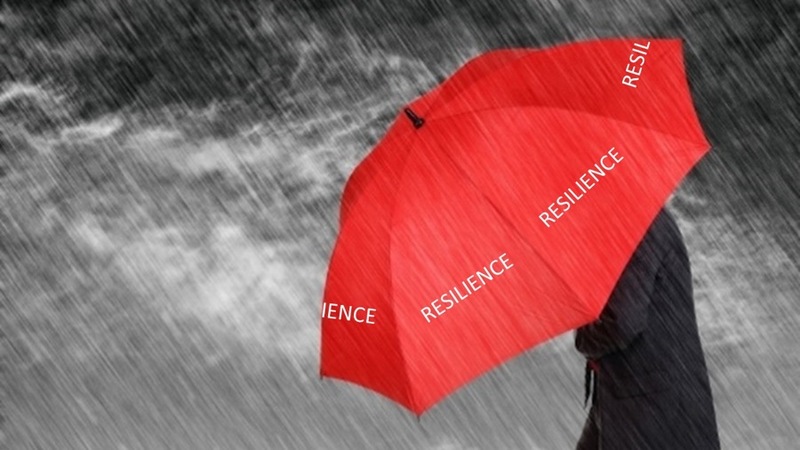 Resilience helps people survive challenges and even thrive in the midst of chaos and hardship. Resilience is a form of emotional buoyancy. The number of projects and the amount of time spent managing projects is increasing in business worldwide to provide focus and flexibility. Some organisations have marshalled most of their resources into multidisciplinary project teams. Projects are often critical components of the performing organisation’s business strategy, so strong skills in project management are important employee attributes. Why do organisations need project management? How can good project management skills help you? Do you want to tackle projects with confidence? People are faced with a range of projects throughout their life. In organisations in the current fast paced business world it is critical that results are delivered on time, within budget and to the right quality. Increasingly managers and staff are involved in managing projects even though they may not be called project managers. By applying the skills of project management in your personal and professional life you can maximise performance and ensure the best results every time. Project management enables you to focus on priorities, monitor progress and performance, overcome difficulties and problems and adapt to change. In fact nowadays projects are the vehicle for driving change in many organisations. ensuring quality is defined and achieved. I read a newspaper article today commenting on how employers are currently seeking and recruiting for staff who have ‘likeability’ as well as technical ability in their field. The description of traits linked to ‘likeability’ fell very much into the domain of what Daniel Goleman labelled Emotional Intelligence in his 1994 book of the same name. Goleman had the same conclusion as the newspaper article; organisations want employees who get on with others, have a positive approach, are good to be around and get the job done. Good social skills, empathy for others and a level of self-awareness are important traits for developing and maintaining effective relationships in and out of work. Managers and staff with large mood swings so people feel like they are ‘walking on eggshells’. “From one day to the next you never know whether to approach them or not and what kind of reception you will get, so you end up avoiding them” was one comment. Managers giving feedback in front of the other team members or in a public place. “The manager corrected me in front of a customer and I was humiliated” said one person. It made her not want to work with customers or the manager again. People who don’t interact with others or participate in the social niceties of the office such as not saying good day or hello and acknowledging others. Many of us have parents or guardians who would call this a lack of manners! Team members who don’t do their fair share either in the work of the team or in office protocols. “We have one person here who never washes up their cup and plates, leaves them in the office sink and expects everyone else to do it. They get annoyed when we ask them to take their turn, so we end up not asking them and being resentful!” was one example of this. People who are negative about most things. “This person is cynical about almost everything that happens and it is depressing and tiring to be around them,” commented one team member.